Unetbootin created its usual menu based on the distribution's own. There were options to run in normal Live mode, in safe mode, to start installation and few more. Nothing unexpected or unusual. The only issue was with names of the menu items. For some strange reasons there were pseudo-graphic elements instead of spaces. Was this a Unetbootin or PCLOS glitch? I don't know. But that was a bit confusing. I passed that step. The splash screen, which you see during the boot, features the PCLOS logo on the grey background. From my perspective, the image was slightly blurred. But that's not that important. There is a status bar just below the logo which shows the progress of booting. The Esc button switches the splash screen on and off. The only question during the boot was about the keyboard layout to use. My selection here was for English UK. Nice reverence towards international users, because not all of them have ever seen the English US layout, which comes as default in many distributions. Once booted, I saw a small window which appeared for a few seconds. This was the information about user IDs and passwords. Unfortunately, the window disappeared without any interaction from my side. Actually, if you need to remember the passwords, there's an icon on the desktop - LiveCD Password Information. Or I can tell you here: user IDs and passwords for the Live system are guest/guest and root/root. Other than the password reminder, the desktop has about a dozen different icons, like Home, Trash, Installation, Localization, Firewall setup, Network Centre and some more. The default wallpaper was again in a grey theme with the word pclinuxos (in this spelling) written on it, adjoined by some kind of ECG. It is the only wallpaper available in this distribution. If you don't like it, you're free to get your own from other resources, to use a Mandelbrot image, or to set up Weather monitor on your desktop. The panel is at its usual place - at the bottom of the screen. The left side of the panel has the PCLOS menu button, followed by buttons Show Desktop, Terminal, Configure Desktop, Configure Computer, Synaptic, Dolphin File Manager and the switch between two virtual desktops. The menu button itself has 2 letters: PC in the circle. The right side of the panel contains clocks with date, Network Centre, Clipboard tool, volume control, USB device manager and KDE notifications. This set of items is less than the usual set in KDE distributions, but I think it covers all I would need. I'd even say that Clipboard tool could be removed. The middle part of the panel, as usual, is a taskbar. PCLOS 2012.02 uses not the usual KDE taskbar applet, but Smooth Tasks. For example, it gives you only icons for launched applications without the descriptive name. This saves space on the taskbar and moves the interface closer to a Windows 7 one. Another interesting option in Smooth Tasks is the ability to place application icons in up to three rows. Desktop effects are disabled by default in PCLOS 2012.02. For test purposes I activated them in Configure Your Desktop, and they worked fine for me. All the standard KDE eye candies are available here. What I could notice is that all the icons in PCLOS, both desktop and on the panel, are larger than I usually saw in other distributions. Is it out of care for people who need Accessibility tools? For whatever reason, it set up the display resolution to 1024*786 right after the boot . As a result, the desktop only took about 3/4 of the screen. It was easily fixed in Configure Your Desktop - Display and Monitors. The resolution 1366*768 was available in the list, and it allowed me to use the whole screen. On the technical side, PCLOS uses KDE 4.6.5 on top of Linux kernel 2.6.38.8. This is far from the latest version of the kernel. I believe the developers have proper reasons why they did not move their distribution to newer kernels. I don't know the reasons. Do you? PCLinuxOS 2012.02 automatically recognised and configured the network card on my laptop - Realtek 8191SE. Bingo! Right after the boot, the Network Centre was represented by a red button with a cross on it. But it was not an issue to convert it into the set of green bars. I only needed to select my home wireless network and enter the security passcode. Firewall is switched off by default in PCLOS, but there are a lot of different checkboxes in the Setup utility to allow different connections. The shortcut to this setup is directly on the desktop. As usual for KDE, the keyboard layouts configuration in PCLOS 2012.02 is in the System Settings - Input devices. It was not a big deal for me to add Russian layout to the English UK with Ctrl-Shift as the switch hotkey. This is my usual set of layouts and a hotkey. However, there is a small annoyance in this configuration tool. Languages are mentioned by their 3-char code, like rus, por or jpn. It would be easier to navigate with full names: Russian, Portuguese, Japanese. Also, the default layout indicator on the panel is the 2-char label. It has black letters highlighted by dark-grey light. This colour combination does not give proper contrast on the black panel. It was easily fixed by switching to a flag indicator, which is anyway my preferred. As opposed to the keyboard, where I saw no big annoyances, the touchpad only worked to move the cursor on my laptop. Neither clicking nor scrolling worked. As I understand, this is a common problem in PCLinuxOS. It has several solutions, but all of them require system reboot, which makes no sense in Live mode. What's in the menu for your PC? The default menu in PCLOS 2012.02 has the "classic" layout. Of course, you can switch to Launcher style. To do so, you need first to “unlock widgets” in the KDE, and then do the switch via right click on the menu button. Let's now see what PCLOS developers put into their distribution. As usual, I start with the Internet section of the menu. There are 2 browsers available in PCLOS 2012.02: Firefox 9.0 and Konqueror. Both of them are quick and stable. I tried to run Konqueror for some time and found no instabilities or glitches there. Of course, apart from a message on the Blogger saying that this browser is not supported. Other Internet tools include a set of KDE and non-KDE applications: Pidgin, Chokoq, Thunderbird, KTorrent, Dropbox client and so forth. The list is quite long. For whatever reason, the Internet section of the menu also includes a link to PCLOS documentation portal. The Documentation section of the menu contains the same link to the PCLOS documentation portal, plus a link to KInfoCentre. The reason these two items are placed together are beyond my understanding. PCLOS has two separate sections for multimedia applications: Sound and Video. The Sound section contains Clementine, KMix and KsCD player. At the same time, Video lists VLC, TVTime and Imagination. Imagination is the tool to create DVD shows from pictures. TVTime pretends to be the Television Viewer. But my test only showed that the camera was activated on my laptop, showing me my own face. Maybe I misunderstand the word “Television”, and now it became a synonym for the word “Narcissism”? There is no productivity suite in PCLOS 2012.02. Instead, you get "LibreOffice Manager" icon either in the menu and on the desktop. This icon allows you to install the LibreOffice components. I could not check how it works, because it... does not work in a Live session. Other than LO Manager, the Office part of the menu lists KCalc calculator and Okular document viewer. The Graphics section of the PCLOS menu is much richer than the Office one. To start with, GIMP is here. It is complemented by Okular, KSnapshot, DigiKam, XSane scanning tool and Gwenview image viewer. I think the list is excessive. What someone would wish to add is Inkscape, but this is not the most used tool anyway. At least, for me. A whole section in PCLOS 2012.02 is dedicated to file managers. Apart from the usual Dolphin, it has file managers Konqueror, Konqueror Root and Midnight Commander. Also, BleachBit and BleachBit Root system cleaning tools are here. Another rather strange section of the PCLOS menu is Editors. It only has one item: KWrite. I would rather place this application under the Office section, together with KCalc. But developers have their own vision. As you may notice, there is no Kate in the PCLOS. If needed, it can be installed additionally. The Archiving section contains two applications: Ark and K3B. Quite a logical selection. You may already have noticed that PCLOS's developers decided to split the contents of usual sections "Accessories" and "Utilities" into smaller groups. As an additional proof for this, PCLOS contains the menu item "More applications", which groups such subcategories as "Finances", "Monitoring", "Printing" and so forth. I am not sure this is the convenient way to see the applications. Too much fragmentation for me. The Software Centre section of the menu lists Dupleclean system cleaner, LibreOffice Manager and Synaptic Package Manager. Yes, PCLinuxOS uses Synaptic for managing the packets! If you are used to seeing Synaptic as a package manager in Debian and its descendants, you may think that PCLOS also uses DEB packages. But that is not right. PCLOS uses RPM packages. Synaptic works as a GUI wrapper for apt4rpm. It means, in particular, that Synaptics tracks dependencies for RPM packages, and does it better than RPM-standard tools do. PCLOS 2012.02 comes with a reduced list of packages in Synaptic. I had to update the list to get it full, and it only took me a few seconds to process. The list of repositories in Synaptic includes lots of different mirrors for PCLOS, so you always have a choice of the one nearest to you. What does Synaptic list as available? Kate - of course! I even tried to install it. Successfully. GNOME3 - yes, under the name gnome-shell. So, you can see that list of available packages is rich enough. There are two separate configuration centres in PCLOS: Configure Your Desktop and Configure Your Computer. The first one is dedicated to user-specific configuration: keyboard, display, network, power management etc. The second one lists more risky tools, thus requires root password for security purposes: disk management, user management, localization and so on. You are right if you see the Mandriva/Mandrake roots here. Yes, this the the approach to split the core and non-core configuration activities, which PCLOS inherited from Mandrake. As usual, there is some confusion between those two utilities. For example, the default keyboard layout can be configured in both sections, but only Configure Your Desktop allows one to configure several alternative layouts. Smb4K is one of many applications listed in the Internet section of the menu in PCLOS. It is intended for working with external Samba (CIFS) partitions. In other words, it seemed to be just what I would need to get my external network drive connected. Unfortunately, Sbm4K failed to find my external network drive. That's not a big deal, and I switched my Terminal into root mode by the su command. Then command mount -t cifs... did the expected mounting. This time it required the parameter iocharset=utf8 in order to display Russian characters correctly in the filenames. Once the external partition was mounted, I was able to test MP3 playback from it. Clementine is the default music player in PCLOS. It started fine. But I could not hear any sounds until I called up the volume level regulator and slightly moved it. Of course, VLC was able to play back MP3 files too, without any issues. Flash is also included in the distribution. I was able to see it working on YouTube and some other sites. As you can see, PCLOS includes the necessary codecs for multimedia out of the box. My Toshiba laptop has quite unusual hardware volume control – it is an old-style disk, which you can turn left or right, like on old radios. This volume regulator also worked fine. That was almost the end of my adventures in PCLinuxOS 2012.02. I started to close all the windows I opened, and there were quite a few of them. And here I faced the first and the only crash during my Live run. One of the KDE Plasma components crashed and asked me to file a bug report. It, honestly, slightly spoiled my overall positive impression about the PCLOS 2012.02. Moreover, just few minutes later I had to switch off my computer with... the Power button! The Shutdown process did not finish successfully. I hanged for a few minutes. It can possibly be the same issue with KDE as I saw in Kubuntu earlier, but I can't guarantee. And I also decided not to test it any more. PCLOS 2012.02 is pretty good distribution. It honestly deserved high place in the poll I ran for best KDE-based distribution. All the time that I spent using it, apart from the last few moments, I experienced a stable and responsive system. No delays, no unexpected behaviour. Everything worked as it should. It was quick and speedy even when I opened a lot of windows and tabs for resource-hungry applications like Firefox with GMail, YouTube and Blogger pages, VLC, GIMP. Yes, there are some minor issues here and there. The most serious would be the issue at system shutdown. Next one would be the absence of a productivity suite. But I don't think any of these issues can seriously spoil the overall positive picture. That's why from now on I decided to include PC Linux OS in the assortment of the sister site Buy Linux CDs. 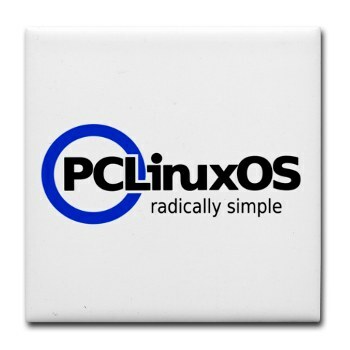 And what would be your thoughts about PCLinuxOS? Is it good or bad for you? You say, "There is no productivity suite in PCLOS 2012.02", yet KOffice seems to be installed and ought that not to be considered as a productivity suite? @Gladys: That may be technically true. So what? It doesn't detract from the OS itself. Frankly, such prickliness over what is essentially a matter of personal preference isn't helping the Linux (yes, Linux, not "GNU/Linux") community. Plus, if GNU is but one component partnered with the Linux kernel, why not call Linux "X/11/Linux", "Sudo/Linux", "Firefox/Linux", or something else ridiculous like that? @DarkDuck: This was quite a good review. I will say that the reason for the age of some packages (e.g. KDE) in PCLinuxOS: (1) PCLinuxOS, despite being rolling-release, tends to be quite conservative in testing and holding back its packages, which can be seen in the fact that it was one of the last KDE distributions that held onto KDE 3.5, and (2) unfortunately this is a one-man show, and the developer has expressed unhappiness with the level of stress and lack of support in continuing to maintain PCLinuxOS, so development has been rather stop-and-go recently. I hope that helps! Gladys, there is NO productivity suite in the default PCLOS 2012.02 distribution. It means neither KOffice, nor LibreOffice, nor Gnome office are on the ISO image. Of course, you can install anything from repositories. But that is NOT the default software collection. I know the difference between Linux and GNU/Linux. But average Joe does not. That's why I would prefer not to confuse people with too geeky terminology. If we stick to GNU/Linux, we need to rename lots of things, to start with Linux Journal and linuxtoday.com. I want to make it clear that I don't generally use the term GNU/Linux. Sometimes I make a reference to it when I'm pointing out the difference between a conventional Linux operating system and Android or Web OS (other systems built on the Linux kernel), but generally I just say "Linux." If we continue this discussion, then we need to agree that Windows NT and its descendants (XP etc) have similar structure too. They have "kernel" and OS around it. It's just that simple that nobody uses kernel alone. Whatever the kernel name is, they OS is called Windows. Same here, whatever the surrounding's name is, the "average Joe" calls the OS "Linux", even if Linux is only the kernel. Texstar has been spending a lot of time doing packaging for the 64 bit version. So, the update to KDE4.7.4 and 4.8 was delayed. It's simply the one or the other. As a one man show, you can't have both and there are also only 24 hours in a day, the last time I checked. On top of that, it was just the festive season, and most people ( that iclude developers ) like to take time off for relaxation and family. Nobody is sleeping right now. Firefox 10.01 came out...one day later we had it. Firefox 10.02 came out ..less than 24 hours later it was available. So, I wouldn't call that " stop-and-go "
@Anonymous: That's my mistake then. I was however going by news of Bill Reynolds's recent blog posts expressing further disappointment and apathy with the project to explain why development had slowed down considerably. It depends on what you are going to talk about, and who is the auditorium. Some picky geeks can punch you for the wrong usage of terminology. Most people just don't care. Your shutdown failure is due to the use of Unetbootin to create the live usb stick. PCLOS shuts down properly if it is done correctly. This is an Unetbootin introduced problem. Add fromusb at the end of the append lines in the USB syslinux.cfg and your shutdown problems are gone. For a clean Unetbootin menu delete the (invisable?) characters from the menu items with backspace and put a new space in. Yes, this well may be the Unetbootin issue. I have not checked. And I won't. If this, the most serious, error can be fixed this easy, the rest of the distribution is just a walk in the park! PCLOS is a good distro, but it does lack some professional options the main one of which is VPN. It will not work (with stability) with PPTP. What solution IS there, is tedious and unstable. Hardly suitable for telecommuting or accessing the office VIA VPN when needed. Sure sharing some files is easy, but using VPN for mapping drives, SSHing through boxes, etc.? Doesn't really work, and it's a needed option for folks like me. I did speak with a PCLOS represenative, and he said simply that they didn't have time, and was pursuing a particular direction, and if it didn't suit my needs I was free to choose a different distro. I did. Unfortunate too, for them. I don't use VPN, so I can't check or comment. Other people below commented. Maybe they know the solution for your case too? LibreOffice installation is possible from PCLinuxOS LiveCD, provided that enough RAM is available, say 3 or 4 GiB, that's a limitation due to the LiveCD filesystem structure, where all changes lives in RAM. one for all I'm using VPN in PCLinuxOS all the time without issues. Strange, but the message I got there directly says that installation in Live run is not possible. No mentioning of memory limitation. Then you're not using PPTP, unless you're doing something small like sharing files or the like (or not using it for very long). OpenVPN, CiscoVPN, and I think one or two others (what was in the original Madriva network stack, perhaps?) apparently work well enough... I wouldn't know about that as no one I know uses them. I was using PCLinuxOS but have been put off by fact that while I was in hospital for 9 months PCLinuxOS decided to change all the repositories and have withdrawn an application that upgrades software manager to use the new one. I have tested PCLinuxOS 2012.02 and it started in 1024x768 mode and when I tried to change it to 1366x768 it crashed big time. So I thought I just try it in 1024x768 mode ... it just kept crashing every time I tried to make any change. Very disappointing release. Problems with older (n)Video cards?, look at the fora to find or ask for solutions. truly disappointing. But have you checked the forum, as advised? of course they changed the repos. If the world changes, they adapt. About the crashing in different modes, you better ask on the forum. I got the very same problem as you have but with OpenSuze, which works otherwise just fine in every application. I used the 2007 version of PCLinuxOS for a few years, but it started to get a bit old and the later versions seemed not as good compared to Linuxmint Ubuntu and others, I still followed the PCLinux magazine each month which is really informative. After a year of using LinuxMint I have only just returned to it and I am impressed with how many things were easy and simple to do, Things like setting up my lightscribe I was able to do from synaptic and my laser printer was found straight away whereas I normally have to use the manufacturers linux drivers. Again, Openshot and Blender seem to be the latest versions so I am very happy. Michael, sorry, I am confused. Have you come back to PCLOS, or still with LinuxMint? Came back from LinuxMint to PCLinuxOS. Another take on PCLOS KDE is the Full Monty version with six desktops that organize everything for you, especially great for beginners and any obsessively organized people. Makes things easier. Thanks for the idea, I may look at this later. Great review! You hit the high points superbly, IMHO. PCLinuxOS user for going on 2 years , i too on occasion recieve a KDE crash at shutdown/restart, the plasma dialouge box does not appear , i just open a terminal and HALT , this does'nt happen often but occasionally , pclos has so many +1's that it will remain my distro of choice, i find the community to be very welcoming & helpful too. Regards. I liked your review. In all the time of using PCLOS, since 2007, multibooting with many other distro's. I have found Texstar and the Gang to have the Least buggy distro yet, thus far. And that is on the many different pieces of hardware at my disposal. It is also just about as fast (on my 64 bit hardware) as the 64 bit distro's are. I am still anticipating their 64 bit release, but not in any hurry. They take their time releasing very stable versions, and I am all for that. And being a rolling release distro, if you updated weekly as i do, what more would you need. Like the slogan say's "radically simple"- well at least for me- a non-techie it is. In this period of time of using PCLOS, I can honestly say, I have used the command line only once, and that was in 2007 for a broadcom wifi problem. I know at least one more team which tries to make their distribution "radically simple". But they're not KDE based. Am looking forward to reading about your next interview. And I enjoy sampling a new distro, every once in a while. You are aware that PCLOS uses many desktop environments for their distro? and not just KDE. once again looking forward to reading the next review. Have you voted in the poll about interviews and other relatively new features of the blog? I know about other PCLOS versions, but KDE remains the default one since Texstar is KDE fan himself, doesn't it? Yes, this is correct. I may have been overlooking this fact as I am a KDE fan myself. Thank you for pointing that out. why is pclinuxos closing its forum to newbies like me? me being a guest i cant even view the forum???? any help on getting into forum or getting help on my problem? I am sorry to hear about your inability to use the PCLOS forum. I know forums have an option to ban certain IP addresses or networks. Probably, spamnet was using the same IP as your current. If your IP is dynamic, please try to re-login to obtain a different IP. Also, you can try to get an answer on different forums, like linuxquestions.org. I have the same issue. I use 2 ISPs, BSNL and Airtel. I get the banned message when I use Airtel, but have no issues whatsoever with BSNL.